The benchmark Sensex had finished at an all-time closing high on Tuesday led by gain in the auto, IT and banking stocks. The Sensex of the BSE opened at 39,167.05 points and touched a high of 39,234.56 and a low of 39,141.09. The Sensex is trading at 39,237.34 up by 180.69 points or 0.46 per cent. On the other hand, the broader 50-scrip Nifty at National Stock Exchange (NSE) opened at 11,735.30 after closing at 11,713.20. It is trading at 11,745.05 in the morning. The benchmark Sensex had finished at an all-time closing high on Tuesday led by gain in the auto, IT and banking stocks. Sentiments were upbeat over expectation of a rate cut in the upcoming RBI monetary policy review on Thursday. Power and banking stocks rose after the Supreme Court on Tuesday struck down the Reserve Bank of India’s (RBI) February 12, 2018, circular on banks’ non-performing assets (NPAs), or bad loans. Regarding the central bank’s forthcoming policy review on April 4, an Edelweiss report on Tuesday said, “We expect the RBI to cut policy rates by 25 bps (basis points), and see a good chance of the policy stance shifting to dovish (currently ‘neutral’)”. Elaborating, the report said that since the previous monetary policy meeting in February, domestic growth momentum has slowed as reflected in high frequency data such as car sales and the Index of Industrial Productrion (IIP), among others, and inflation has remained benign. 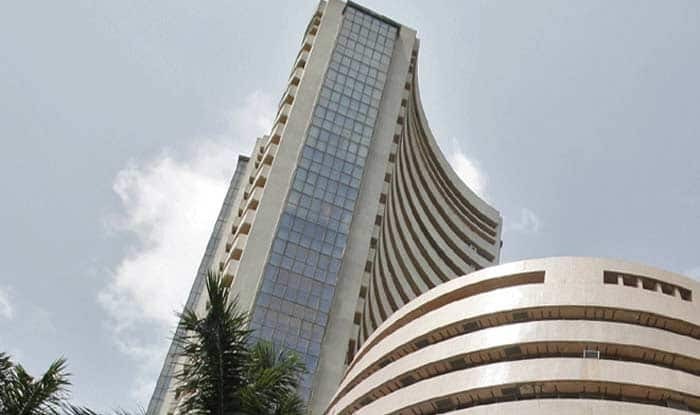 The S&P Sensex gained 184.78 points, or 0.48 per cent, at 39,056.65, on its previous close of 38,871.87, while the Nifty edged up by 44.05 points or 0.38 per cent. “Market maintained the positive momentum but struggled to cross above the all-time high due to profit booking in which mid and small caps underperformed. Inflow of foreign liquidity in expectation of rate cut from RBI and revival in earnings will provide some stability in the market,” said Vinod Nair, Head of Research, Geojit Financial Services. The top gainers on Sensex were Tata Motors, up over 8 per cent, followed by Tata Motors (DVR), Bharti Airtel, TCS and Bajaj Finance. Bajaj-Auto, Sun Phrama, Vedanta, Tata Steel and HCL Tech closed at the bottom of the Sensex pack, declining up to 2 per cent.